*G 01F SENHA 17: FRANCISCA MARIA DOS SANTOS OLIVEIRA DA LOCALIDADE SÃO LUIS ZONA RURAL DA CIDADE DE BRASILEIRA-PI, COM UM REFRIGERADOR 280 LITROS COM 07 PARCELAS PAGAS. *G 03E SENHA 09: JOÃO DA SILVA CERQUEIRA DA LOCALIDADE VARJOTA ZONA RURAL DA CIDADE DE PIRACURUCA, COM UM NOTEBOOK SAMSUNG COM 01 PARCELA PAGA. *G 04 SENHA 40: MARIA GIUCILENE DA SILVA SOUSA DA LOCALIDADE SÃO LUIS ZONA RURAL DA CIDADE DE PIRIPIRI-PI, COM UMA CC 50 SHINERAY COM 02 PARCELAS PAGAS. *G 05 SENHA 07; WILSON DE CARVALHO FURTADO DA CIDADE DE PIRACURUCA, COM UMA POP 100 COM 28 PARCELAS PAGAS. *G 06 SENHA 46: JOSÉ DO CARMO DE SOUSA DA GRAÇA DA CIDADE DE PIRACURUCA, COM UMA NXR 150 BROS ES COM 48 PARCELAS PAGAS. *G 08 SENHA 09: ROSA MARIA DA CONCEIÇÃO CERQUEIRA DA CIDADE DE SÃO JOSÉ DO DIVINO-PI, COM UMA POP 100 COM 38 PARCELAS PAGAS. *G 12 SENHA 07: ROZÂNGELA PEREIRA DO LIVRAMENTO GOMES DA CIDADE DE TERESINA-PI, COM UMA C 100 BIZ KS COM 08 PARCELAS PAGAS. *G 13 SENHA 30: GIVALDO DE BRITO SOUSA DA CIDADE DE PIRACURUCA, COM UMA NXR 150 BROS ESD COM 01 PARCELA PAGA. *G 19 SENHA 07: RICARDO LUIZ MENESES CARVALHO DA CIDADE DE PIRACURUCA, COM UMA POP 100 COM 12 PARCELAS PAGAS. *G 22 SENHA 27: ANTONIO CHARLES SILVA DE BRITO DA CIDADE DE BATALHA-PI, COM UMA POP 100 COM 04 PARCELAS PAGAS. *G 23 SENHA 21: EDIVALDO SILVA RODRIGUES DA LOCALIDADE MÃE DOMINGAS ZONA RURAL DA CIDADE DE PIRACURUCA, COM UMA NXR 150 BROS ES COM 34 PARCELAS PAGAS. *G 27 SENHA 29: MARCELO DE AZEVEDO DA CIDADE DE SÃO PAULO-SP, COM UMA CG 150 TITAN EX COM 06 PARCELAS PAGAS. 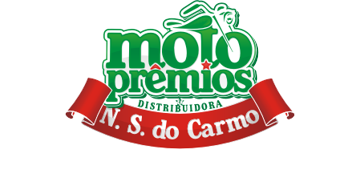 AGRADECE : MOTO PRÊMIOS N. S. DO CARMO.